For today's project, I used the gorgeous flower from the Gifts of Love Hostess Stamp Set. You may have noticed that there isn't video tutorial for today's project. I've decided that not all my projects will have a video. This is because, when I'm creating a project and know that I will be filming a video tutorial for it, I feel as if my creativity is limited by time because I don't want to end up with an hour long video tutorial. Don't get me wrong, I LOVE making videos and will still make at least one new video tutorial each week. What you can expect are more projects shared on my blog. I stamped the line art flower image from the A Gift of Love Hostess Stamp set in Basic Black Archival Ink onto watercolor paper. 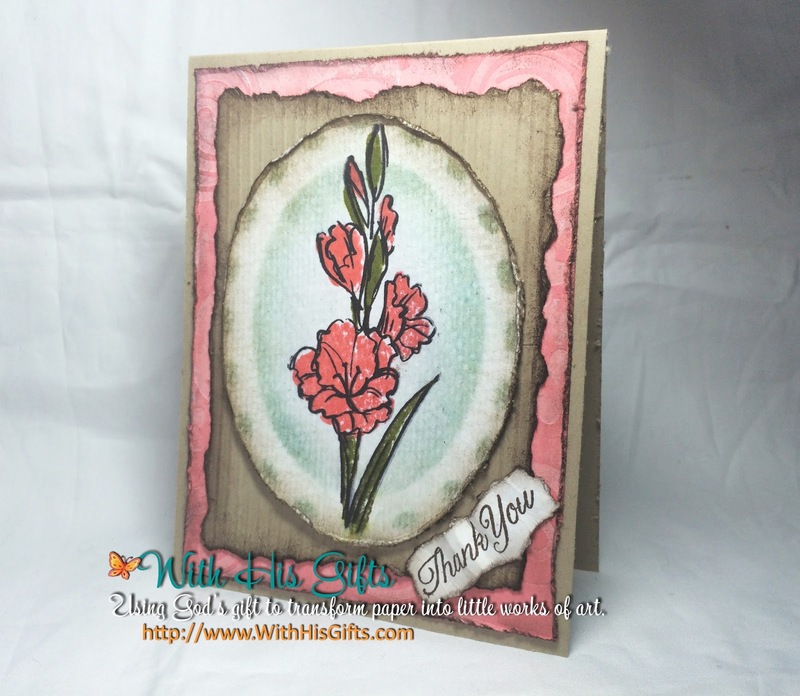 Next I stamped the flowers in Flirty Flamingo Ink and the leaves in Old Olive Ink. 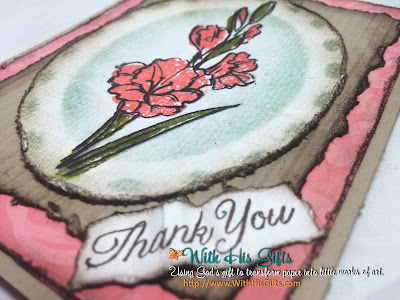 Before stamping the flowers and leaves, I lightly spritzed the stamps with water to create a watercolor effect. Next, I used an old oval earring to mask an oval shape over the flower (Yes, the earring is big! I don't wear them that big anymore but in my younger days, I did love me some big earrings!). Using a sponge, I applied some Soft Sky ink then I used the sponged oval shape as a guide to cut it out. Next, I used my distress tool to distress the edges and then sponged with Early Espresso ink. I, then, placed this gorgeous flower atop of a piece of Crumb Cake cardstock. First, I used my scoring board to create the look of corrugated cardboard and then ripped and sponged the edges with Early Espresso ink. I needed some more of that gorgeous Flirty Flamingo on my card so I grabbed the Swirly Scribble Thinlits Dies and, using Debbie Henderson's technique, I created a custom embossing folder. If interested, you can watch Debbie's tutorial here. 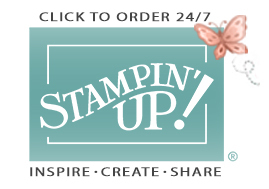 I ran the Flirty Flamingo cardstock through the Big Shot using my custom embossing folder. And, of course, I distressed and sponged the edges. Finally, I mounted my little work of art atop a Crumb Cake cardbase and it was good! 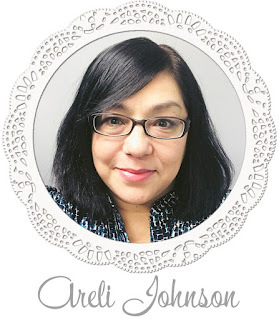 Beautiful card, Areli, and I love this new flower! I always love flowers, and you've made a gorgeous card! Wishing you a blessed week! Hugs! Cheryl, we have something in common. I absolutely love flowers, too! Thank you so much for your lovely comment. Wishing you a blessed week as well!